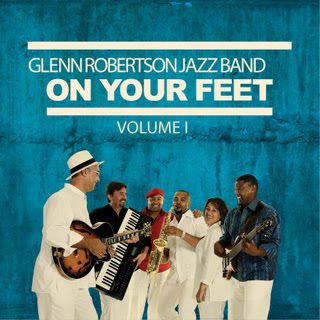 The band comprises Michelle Robertson on Vocals, Tony Drake on Piano, Andre Henry on Bass Guitar, Fabian Frantz on Drums and Donveno Prins on Saxophone. 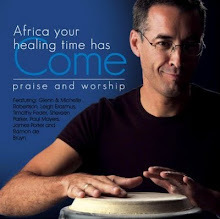 Glenn Robertson plays percussion and fronts the band vocally. 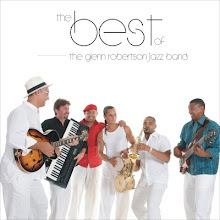 The musical style of the band is rooted in Jazz, but covers various genre of musical styles. The band is flexible in that it moves from the blues to swing and from bebop to modern Jazz and is spiced with a latin flavour. A unique formula, which this band has encompassed is the introduction of Gospel Jazz as a part of their repertoire. 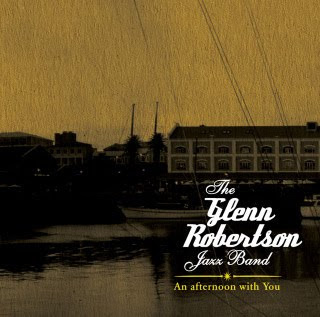 WHAT AN AMAZING EVENING IT WAS WITH THE GLENN ROBERTSON JAZZ BAND ON THE 'BASIL MANENBERG' STAGE AT THE CAPE TOWN INTERNATIONAL JAZZ FESTIVAL ON SUNDAY 4 APRIL 2010!! THANK YOU TO ALL OUR SUPPORTERS! YOU HAVE MADE IT POSSIBLE! 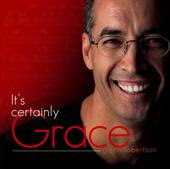 Heartfelt gratitude goes to my Lord, Saviour and Friend, Jesus Christ for giving me the gift of music. Romans 11:29 says: "For the gifts and calling of God are without repentance." 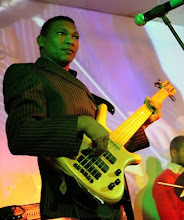 I spent almost 10 years playing in night clubs until in 1987 when I had an encounter with Jesus Christ at the Galaxy night club in Rylands, Cape Town. He changed my entire life around and I want to give Him all Glory, Honour and Praise. I love You, Lord! I would also like to thank my wife, Michelle and daughters Lisa and Caelyn for the amazing patience that you have with a busy husband and father. To my Mom and Dad for giving me the freedom to express myself through music. Thanks also to my secretary, Petro, for always believing in "The Vision" for the Arts and to our Church, Kaleidoscope, for their support and belief in us as a band and in me as their Pastor. To my band, Tony "You're a genius", Fabian "You're driving the bus like it should be driven my friend" and Andre "you're a faithful man, solid bass player". A huge thank you to the guest artists who contributed by giving of their time and talent to make this project possible. Michelle "thank you for colouring the sound with your beautiful voice - I LOVE YOU". Ida, thank you for your unconditional support of the GRJB and your presence at all of our gigs - either selling our CD's or taking our photographs. To all our friends and fans for their support - "thank you for believing in us". I am forever grateful for my Father's faithfulness in my life, for all that He has done, is doing and about to do. His gift of music and song has brought so much joy to my life ever since I can remember! May it continue! Thank you Glenn, for your effervesence in my life! We make a great team and a three-fold cord cannot be easily broken! Lisa and Caelyn, you two perfect the picture! Love you all! To the rest of the GRJB - Fabian, Andre, Donveno, Stigue and Tony - melody and harmony go hand in hand. You do it well, so enjoy it as you make it! Add unity and you have BLESSING! To friends and family, you colour my life beautifully! Thank you! May His blessing rest on you ALWAYS! I would like to thank my family and friends for their support! A special thanks to my boys Jared, Tyler and Darren. You guys rock! Thank you Glenn for your endless support and lastly, but not the least - I want to thank GOD for everything! You are the Author and Finisher of my faith. I want to thank my Creator, Father God for my gift! Without Him none of this would be possible! Thanks Mom and Dad for your encouragement and support over the years and for believing in me! Tarryn - I love you! Thank you for your patience and love! I would like to thank God for giving me the talent and gift of music to be able to share it with others. A special thanks to my family, especially my wife Theresa for her love and support, my sons Shauwndre, Tashwell & daughter Tara for all their patience exercised for the times that I'm not at home with them. To the GRJB: Glenn thanks for your leadership, guidance, support and love shown for us all. Tony thanks for your excellent musical directorship and positive input into our music. Fabian thanks for your friendship and positive attitude, great sense of humor and always uplifting the guys "you also know that you are the coolest guy in the band". A big thanks to all fellow musicians who have shared the stage with us for the past few years. To all GRJB loyal followers and fans, thanks for your support.